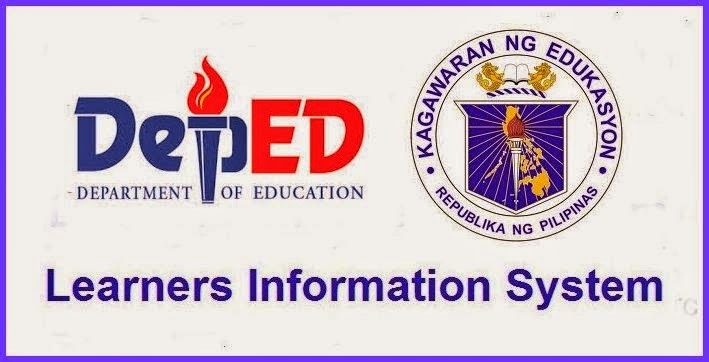 Teachers in the public elementary and secondary schools are directed to enrol their learners in the LIS (Learner Information System) website for every school year by an order issued by the Department of Education (DepEd). 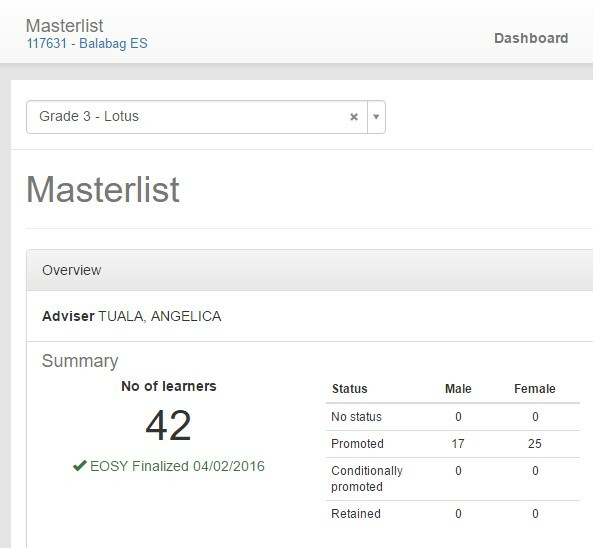 Since its introduction sometime in 2012, the teachers found it difficult to enrol their learners individually due to Internet glitches like server's weak reception, heavy traffic, and invalid learner's data. 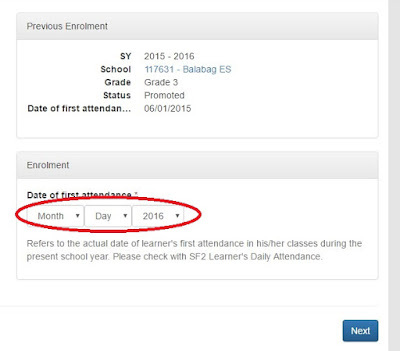 Nevertheless, this online enrolment facility has been improved and the teachers found it very helpful by using the "mass enrollment" or batch enrol facility before. 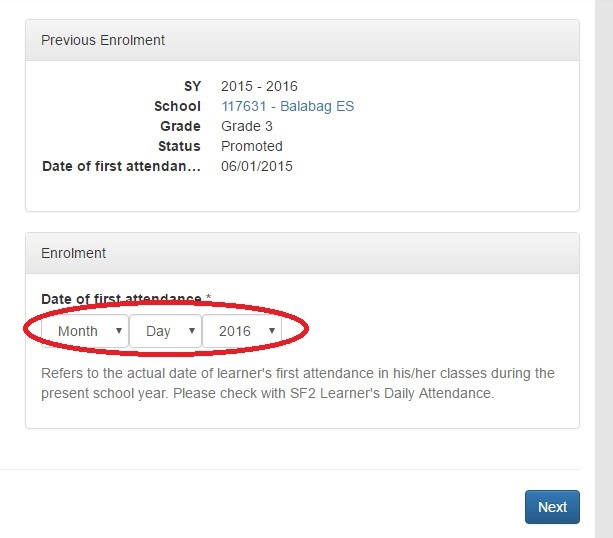 However, as the system has been updated and enhanced this facility becomes unavailable for this school year 2016 - 2017. 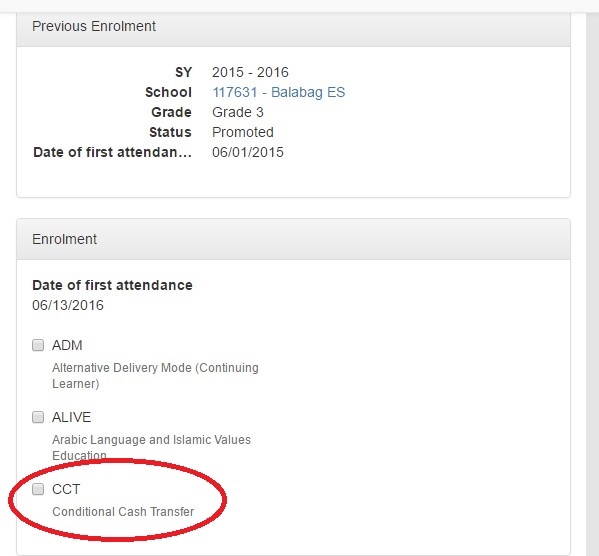 The teachers once again have to take the tedious way of enrolling their learners. 1. Open your School LIS account using adviser's account. 2. 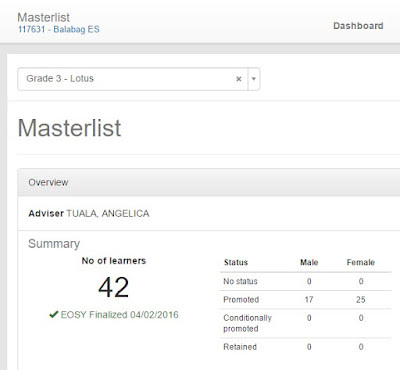 Create a class and enter your name as the adviser. 3. 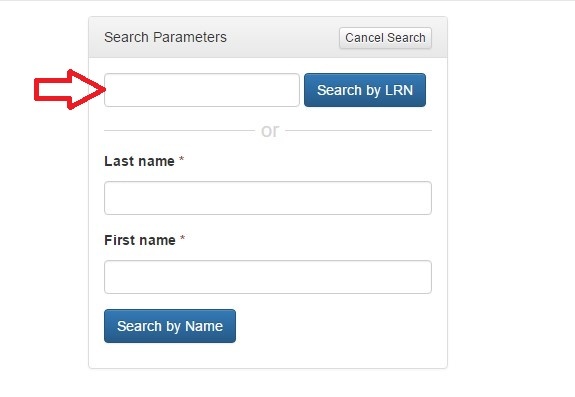 Open the previous school year to another LIS page (making two LIS pages open: the current SY, and the previous SY) and copy the learner's LRN and paste it to the blank space provided to enrol the learner using his/her LRN. 4. Do it in the same way with the rest of the learners. 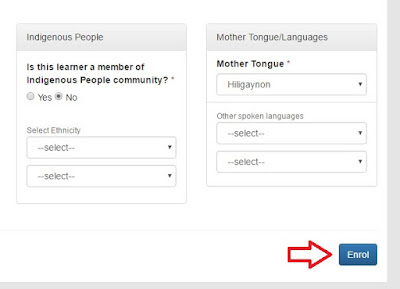 For transferee or newcomer do it separately. 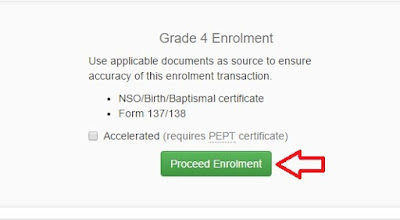 This is to enrol a Grade 4 learner to the current year by using his previous school year profile in Grade 3 (unless there is correction). 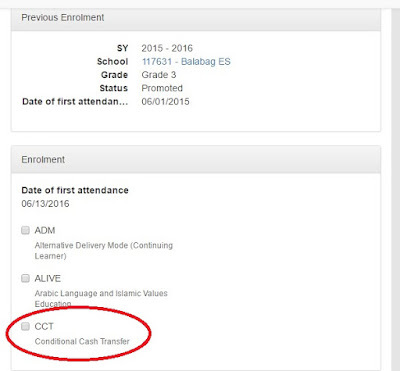 Enrolling the learner to the current school year. After updating the CCT, scroll down until you see the Enrol button. Then click it and you're DONE. 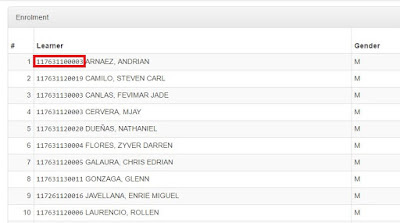 Below is the updated enrollment of the teacher's class in grade 4 for the current school year. 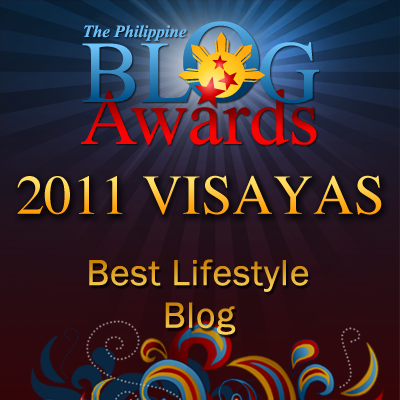 For inquiry, visit DepEd ICT Coordinators Facebook Page which is the author/blogger is the admin and moderator. 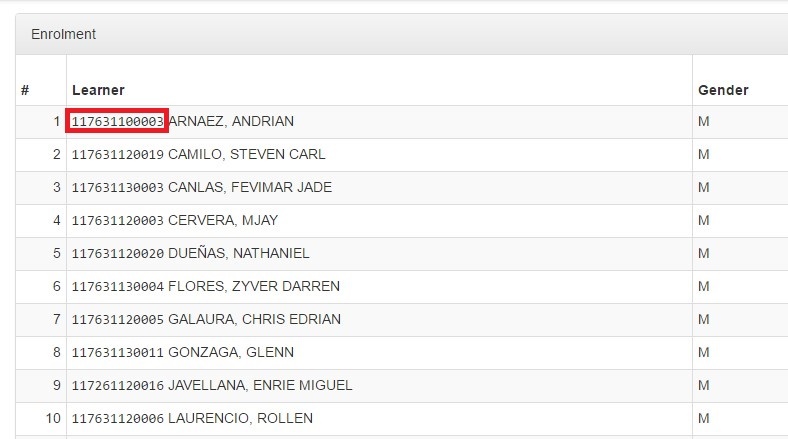 Yun ang sinasabi nila na glitches dahil sa programming system na inaupdate nila. Pero sa ngayon nandoon na, di ba? Nagbalik na. Natingnan mo? THANK YOU SIR. BIG HELP PO TALAGA ANG SHINARE NYO. KEEPM IT UP.